From 4th to 9th April, Fenabel receives clients and visitors on hall 14 stand C32, Milan Exhibition. The Portuguese chair manufacturer brand , which is going to celebrate 25 years of existence this year, focus essentially in their proposals versatility and will present , in Milan, the most recent creations which result from a set of partnerships , namely with the Italian design office Area 44, the Spanish office AGV and the internal development office. It is a collection of 9 range of chairs, following the world tendencies and being based on a contemporary concept, adjusted to contract and home market. On the new chairs´ portfolio stands out the Sebastian Collection, with a very creative and sinuous language. Spirit line presents a timeless classic figure which becomes appellative to the “modern chic” gender. Dream line stands out on their details, with all the elements capable to integrate on any decoration and interior design. 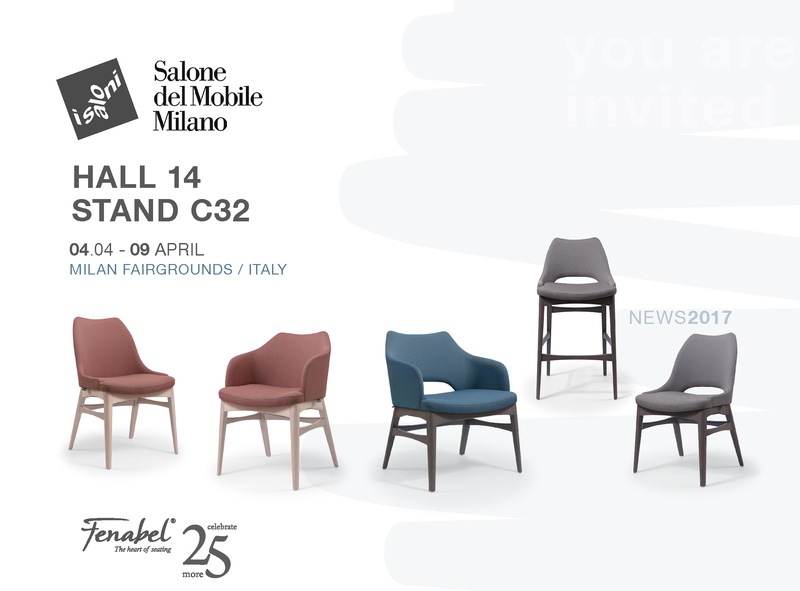 The new line of chairs, that are going to be presented on Isaloni Milan, are based on the creation of natural environments, presenting the light and neutral tones of beach and ash wood natural colours. With 25 years of experience and uniqueness, Fenabel´ s brand keep faithful to its roots, highlighting vision, values and aims, always keeping up market and customers solicitations , creating high quality tailor made chairs.